The image of Moony (shown here) represents two important events happening in the Nymboo world. First, the official announcement of our US presence with licensing agency, brandITbandits. 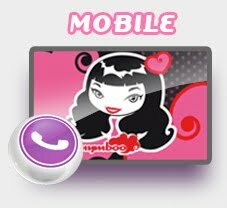 The Nymboo characters and graphic elements are now available for licensing in all categories for the United States of America. 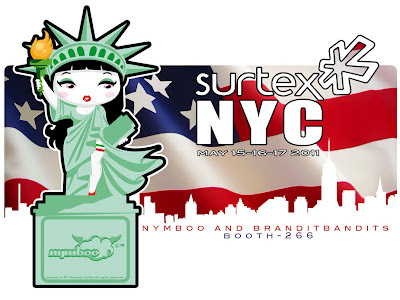 Second, Nymboo will premiere their line of characters in NYC by participating at Surtex 2011 at Jacob Javits Center May 15-17 in booth #266. Surtex 2011 marks one of the most important trade shows for licensing art and design in the world marketplace. An Italian company, Nymboo will unveil their characters at the show. If you are around, please visit us at booth 266!